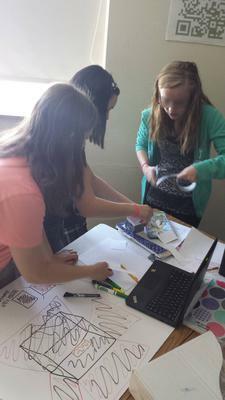 Students began their G.R.I.L.L project with a little bit of Research, and ended with Design. G.R.I.L.L stands for Greenhouse Research Informing Lesson Learning. We just finished a unit discussing human impacts on the environment - how many resources would be required if everyone on earth lived like the average American. Then we phased into how consumption of energy dense materials (fossil fuels) can bring about climate change. To help the lesson stick, students are using their "R" on Jim La Joie's C.A.R.D assessment -- the *retention* aspect of solar ovens to better understand how greenhouse gases keep our planet warm. Just like a cloud might pass and the oven should hold its temperature reasonably well, the earth retains heat energy during the night hours. 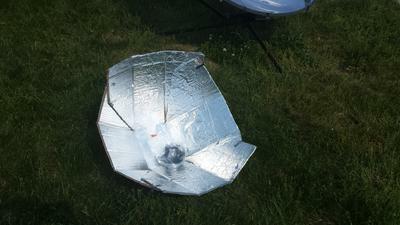 We expanded and modified the C.A.R.D solar cooker assessment (Collection, Absorption, Retention, Duration) to "D.R.A.C.U.L.A"
D.R.A.C is just C.A.R.D backwards...and we added "User-Friendly", "Lightweight-Portable" and "Adjustable" because students were eager to try really complicated designs with strings and "food-elevators" and all kinds of cool ideas that I'd love to foster if we had time, but we have to stay focused and move fast at the end of the year. We need the designs to be portable, because with 100-140 total groups, we can't really have someone lugging around their 150lb wood and concrete "box" oven. I wanted the students to think about adjustability, just because I wanted them to be able to fine-tune their stoves to get every possible ounce of helpful sunlight that they could - their time outside is going to be less than an hour total. Perhaps 2 if we do it on the last two days of school. 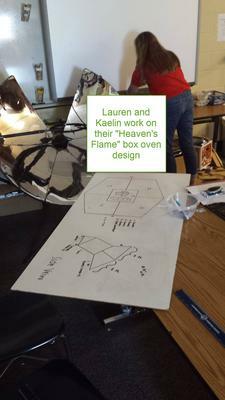 The students have taken well to the "U.L.A" section of our criteria for a solar cooker. I have a few in my morning classes that are considering making the ASSC, and several of my higher level students selected (on their own) Sharon Clausson's "Copenhagen" - - a design I was reserving for my lower level students, just because of its ease of construction. But it DOES fulfill many of the D.R.A.C.U.L.A requirements. 3. )The Rocket Oven - We try to work rockets into every project, since we are the SCHS rockets. This achievement goes to whoever's oven rises a certain temperature (TBD) in 20 minutes. We are still seeing what is attainable for the students at this moment. 4.) The Pit Crew - Any group that can get their oven set up and aligned with the sun in 2 minutes unlocks the pit crew achievement. I am trying to find ways to stamp these achievement on their actual cookers...or have stickers or something cut out so that they can display their achievements. I am looking forward to hearing and seeing more.